Being a frequent traveller, you may be concerned whether your luggage has exceeded the weight allowed by the airport authority. It can be quite embarrassing and inconvenient if you are asked to remove some belongings from the bag or to pay additional airport charges for it. 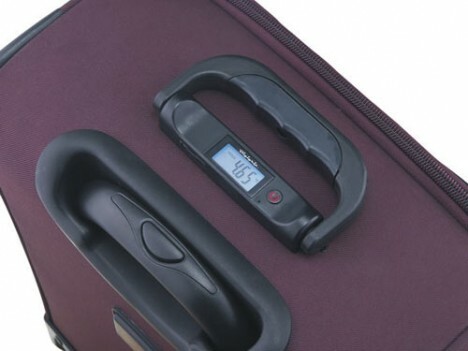 For travellers’ convenience sake, a Swedish investor has rolled out a creative product to assist travellers to measure their luggage via a handheld scale, Digigrip. Digigrip looks like a regular handle. But when lifted up, it can indicate to users the weight of their luggage digitally via its LCD display screen. Instead of heaving a heavy bag onto a regular scale, the handheld device makes weighinga breeze . For a mere 19 euros, users can get this handheld scale to do the weighing not only for airport luggage but also other like items. The drawback for this invention is users need to punch holes to the bag in order to fix the handle scale onto it.